As we prepare to attend the upcoming Tony Robbins Unleash The Power Within event in Rimini, Italy this coming September, we are delighted to be able to offer you two books by two highly influential individuals. 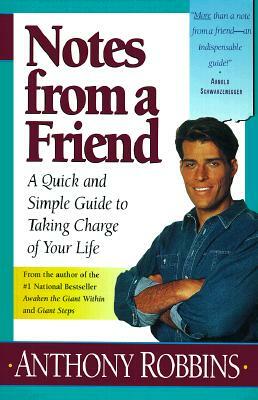 First in the pack is the man himself, Tony Robbins, the biggest personal development speaker in the world today. Tony counts American presidents and the cream of sports and show business personalities among his client list, his three day “Unleash The Power Within” is an experience unlike any other… Around the world, upwards of ten thousand people gather in arenas for three twelve hour sessions on the trot covering his keys to a significant and impactful life.The book, Notes from a Friend, is a concise and easy to understand guide to what Tony identifies as the most powerful life changing tools and principles based on the concepts and stories featured in his bestselling “Awaken the Giant Within” and “Unlimited Power”. Change Your Breakfast, Change Your Life! The second book is by Tony’s foremost facilitator, Joseph McClendon who has gained a following around the world as he facilitates the health and nutrition focused, day 4 of Tony’s UPW event. 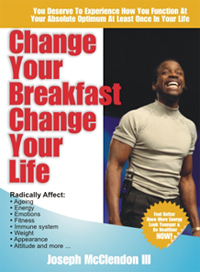 Joseph’s book, “Change Your Breakfast, Change Your Life!” explains how what we put in our body and when, determines the quality of our life. If you ever meet Joseph, you will see that he lives his message and at nearly 60 years old, would pass for 35. We hope you enjoy these books and look forward to bringing you more great information soon.